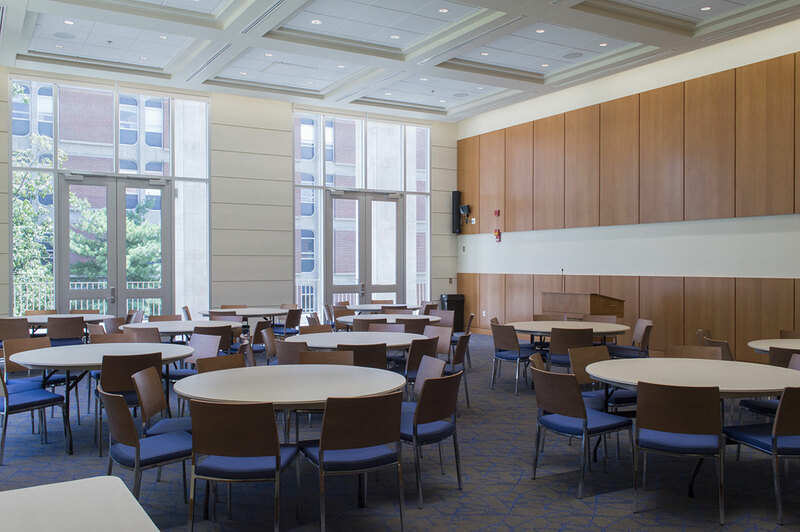 Woodward Hall was designed to give an opportunity for entertaining needs for up to 100 guests. 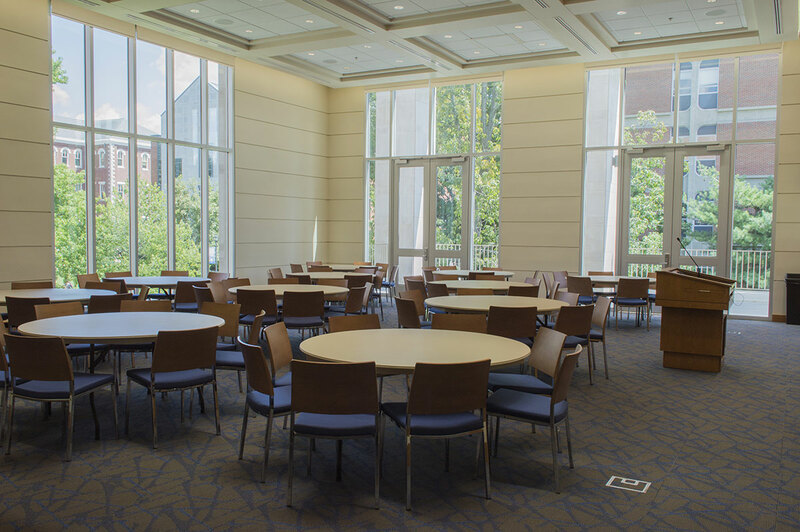 With a full kitchen to accomodate catering and an adjoining balcony, Woodward Hall is a beautiful space to host your guests while giving them a wonderful view of campus. 1 To connect Mac to conference rooms or classrooms, use either an HDMI connection or a mini display port to display port adapter. 2 Only for connections via Solstice. 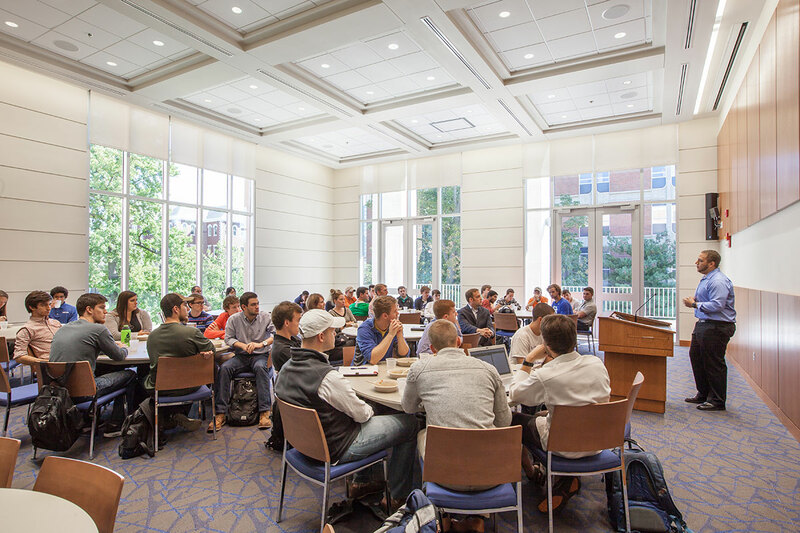 3 Kincaid Auditorium does not have a fixed confidence monitor. A portable one can be requested. 4 Table microphones in the Furst Boardroom are not fixed and must be requested. 5 For rooms designated "Echo Personal Capture": Video camera is not fixed and must be requested. Video capture is done through the Echo 360 Personal Capture software on the resident PC. 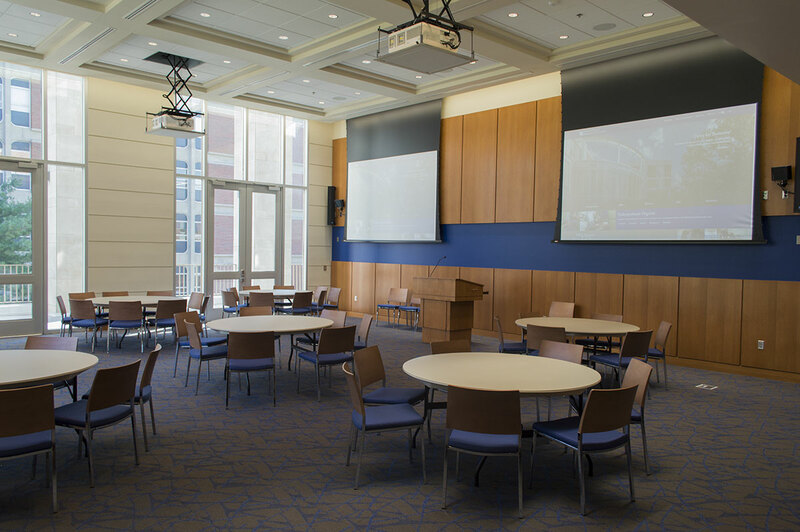 6 The divisible conference room can be used as one large room or divided into two smaller rooms. 7 For rooms designated "Via Web App": There is no Haivision Decoder in the room. Playback of streaming video is done via the resident PC. 8 Mersive Solstice software which allows mulitple laptops or tablets to wireless project on to screen for collaboration. Tablets may used as portable whiteboard if writing app used. 9 Haivision IPTV encoder is used to stream video to IPTV decoders or over the web to devices via the web.